DISCLAIMER: I know I have used limes in this recipe- I honestly do not know whether our desi nimbus are more lemon or lime- but I’m calling it lemony cake because it does indeed taste lemony! 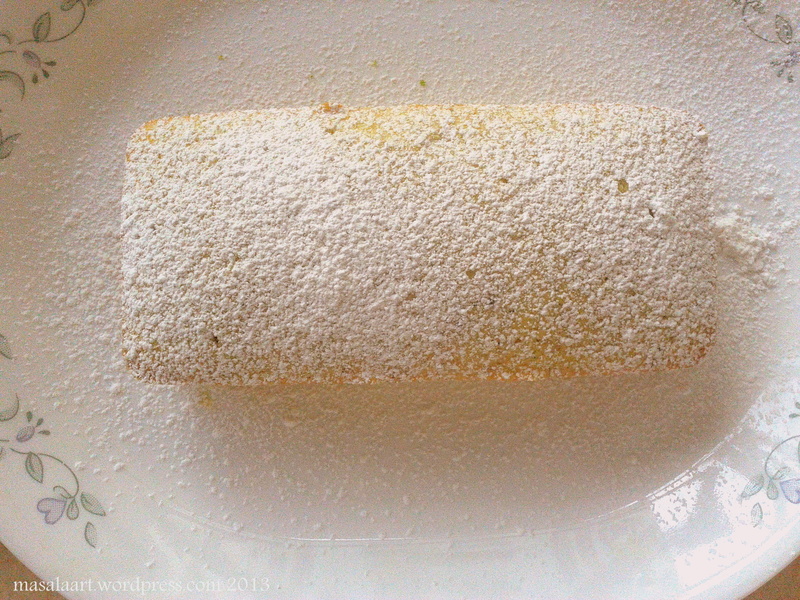 Ever since I got my new loaf pan, I’ve been using it to make the lemon syrup loaf cake I tried out on World Baking Day. It’s just that loaves are so easy to dress up, slice and eat. I like going back to the kitchen to slice away thin slivers and eat them. Those thin slivers are numerous and not-so-far-between, and there is something I enjoy about sneaking little bites rather than sitting down with a large chunk of a cake and a fork. The previous loaf cake I made had a syrup poured over it; and though it was very good I wanted to switch things up a little. Since I attempted the Le15 vanilla cupcake, I have gotten very comfortable with their recipe. I decided to follow the same method; but added some zest and juice to the batter. Like last time, I used desi nimbus or limes. I had a particularly bright green one lying in my fridge. I was hoping that the lime zest, combined with a scraped vanilla bean instead of vanilla extract, would give a nice speckled effect. The lime zest didn’t turn my batter green or pop out as such; but yes, the vanilla bean did lend its charm. Sift the flour and baking powder and keep aside in a bowl. Cream together the butter, sugar and lime zest until light, fluffy and fragrant. Add the scraped vanilla seeds to the mixture and mix a bit more. Next, beat the eggs in one at a time until fully incorporated. Next, add the flour-baking soda mixture and the milk alternately, beginning and ending with the flour. Add the lime juice to the batter and combine well. Pour into your loaf till 3/4 full and bake at 180 C for 25-30 mins. Allow to cool completely before unmoulding. 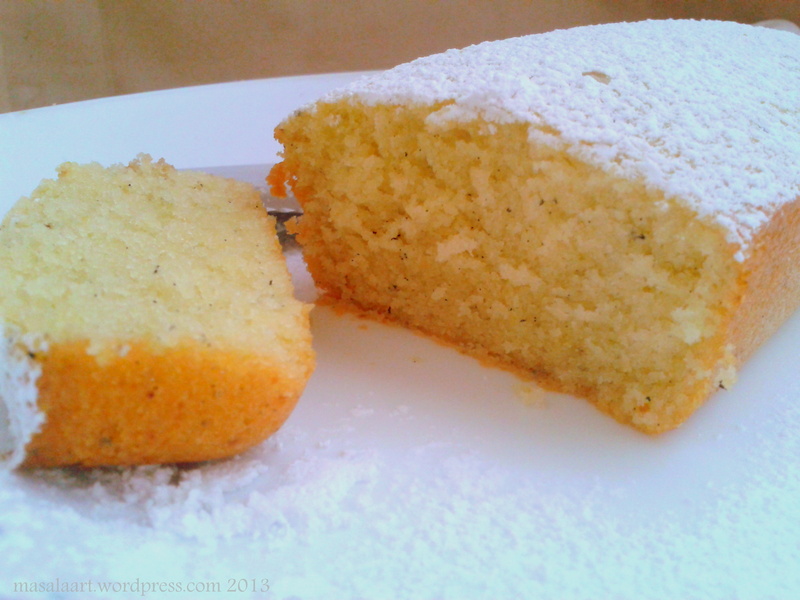 I have tried to lemony cake recipe; however I need to try one more before I decide which one I like best! Post coming soon. Hey thanks so much for stopping by! Would be honored to share the link- the concept is really interesting! I have been giving my cupcake tins and springform pans quite the ignore since I acquired my new loaf tins!